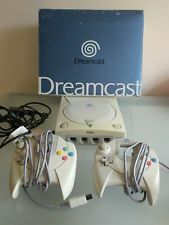 Ive been an emulation and homebrew fan for as many years as i can remember but nothing i repeat nothing is better than playing on the real hardware. 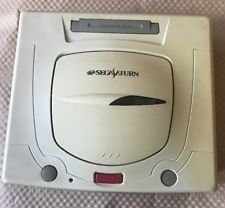 Back in the Megadrive(genesis) and Snes days i owned a Super Wild Card and a Super Double Pro fighter, both cost about 300 pounds and ill admit that it was a great way to play games that i would never have been able to afford or because of stupid region lockouts. So the day when Neoflash announced they were working on a Flash Cart for the Megadrive called NEO Myth MD 3in1 flash cart i wanted one so badly, infact on the day they announced it i went out and brought a Megadrive. So anyway to my reason for posting, sadly i dont own a 32X, i did a look on ebay and boy are they fetching a decent price (100 Pounds) so i can only really test Genesis and Master System Games. The good news is that you dont need a Master System to play the games via this flash Cart. Now i am no tech head just really a normal user much like most folks so this is a review in that atittude. One thing that didnt come with my review sample was a driver CD, thankfully Dr Neo of Neoflash has been releasing and updating his recently released GBA + MD 3in1 Myth cart PC programmer V2.82 (Local Download Here). Now sadly i didnt have any info on what to do, which is something i expect Neoflash to sort out on retail of this flashcart..
At this point unzip the (GBA + MD 3in1 Myth cart PC programmer V2.82). Click on the exe file and it will unpack itself and also will find the drivers. If that was successful you should now be able to add roms etc. A strange bug if you will is that the Cart asked for the drivers again, i just let them find the drivers automatically and everything was ok, a tad infuriating but for anyone with modest experiance of using Windows its no real hardship. Now im no great techie but this is where things are very easy. its just a case of dragging and dropping your Master System/Genesis/32x roms onto the window where it shows you the rom info, its as easy as that. 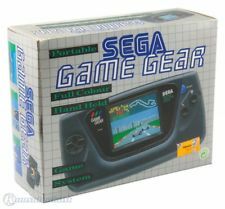 I hate messing around so thats a big thumbs up from wraggy - Remember that to play 32X roms you need a 32x although you can play both Genesis and Master System Roms on the Genesis. After you have dropped all the roms you need onto the window you click MD Burn and it takes a matter of a minute or maybe more depending on the amount of roms your putting on the cart. Theres a load of other options in there including options for N64 etc so obviously this software is going to be used for the upcoming N64/Snes Flash Carts. Another great thing to note is that if you have the Neo 2 Nintendo DS Flash Cart that also can be used in the Super MD Flash Cart. I havent tried it yet but you can use the ram cart in a GBA too. Now press up/down to scroll through roms. Virtua Racing - Megadrive - No Working - Must be because of the SVP chip if memory serves me right. ill update the list through the day and start writing my review whilst i enjoy the good old days. Today was one of them times when i was took back to the reasons i truly love the homebrew/Emulation scene. The Flash Cart seems easy to use, only gripe is the annoyance of having to find the drivers every time you plug it in, but it does in a matter of seconds so not really a biggie. The adding of roms to the cart is as easy as they come so a big plus factor there. The amount of roms you can add makes this a great cart too, the supporting of 3 systems and infact 4 if you take in the fact you can use it in a GBA is great. On the whole bar the fact i cant test 32x due to not owning one (but 32x roms do work), the roms it plays is great, there are a few however with built in detection that obviously need some working on via Neoflashs part, the only rom i cant see working is for example Virtua Racing because of the extra chip inside the original game. The price for the Flash Cart is $150 so it maybe wont be accessible to a lot of the newcomers but to retro collectors/major emulation fans it will be very worth it. 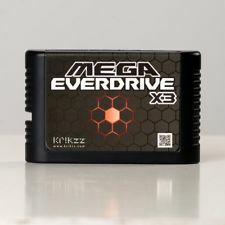 My advice is to those who are tempted is go for it, the flash cart does what you really want it to and thats play Sega Master System, Megadrive and 32X, a big thumbs up for Neoflash on this retro cart, i cant wait to see what they do with the N64, Nes and Snes Carts. Once the software is updated to work on the roms that wouldnt play this time and maybe a few new additions then you have a major winner. Ic2005.com - Official Sellers of the NEO Myth MD 3in1 flash cart and Neoflash Products. Neoflash Topic where testers are working on improving software and compatability. 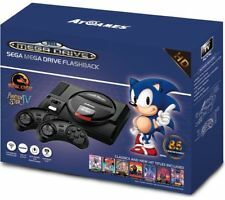 Sega NG - Great site for info about the 32x, Master System and Megadrive. Neoflash Forum for all disccussion regarding the flash cart. Guests online: 492. Total online: 492.